Finnish Lessons: What Can the World Learn from Educational Change in Finland by Pasi Sahlberg (© 2010, Teachers College Press: New York, NY) is the story of Finland’s extraordinary reforms and one that should inform policymakers and educators around the world, most of whom are on the wrong track. Sahlberg has lived and studied these reforms for decades and is a clever and engaging story teller. Click below to purchase this book today, and share with your colleagues. Pasi is Director General of the Center for International Mobility and Cooperation at the Finnish Ministry of Education and Culture (CIMO) and a member of the board of directors of the Association for Supervision and Curriculum Development (ASCD). For the last two decades has analyzed education reforms and worked with education leaders around the world. He trains teachers and leaders as an adjunct professor at the University of Helsinki and the University of Oulu in Finland. Over the last 25 years the performance of American schools has steadily declined relative to international benchmarks. Meanwhile, reformers keep doing the same things. 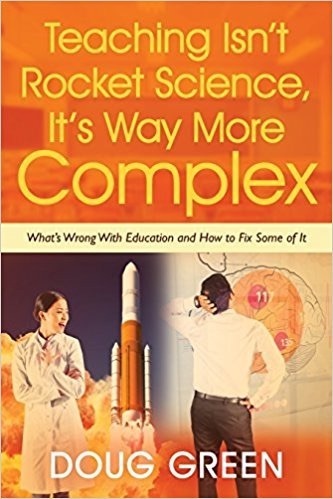 Force, pressure, shame, top-down intervention, competition, standardization, tests of dubious validity, easier passage into teaching, closure of failing schools, firing teachers and principals, and fresh starts with young teachers in new schools. Given this, there is no reason to expect Obama’s Race to the Top to succeed. Hargreaves warns us not to dismiss Finland’s success by using the excuse that we aren’t like Finland. He notes that in addition to being the leading authority on Finnish education, Sahlberg is also a world-ranking scholar with a world view developed by working at the World Bank and schools from many countries. It might be hard for some Americans to admit that someone else does education better, but they would all be wise to seriously consider the possibility. This entry was posted on Wednesday, December 28th, 2011 at 1:59 pm	and is filed under Book Summaries, Education Books, Leadership Books. You can follow any responses to this entry through the RSS 2.0 feed. You can leave a response, or trackback from your own site. This is a nice summary. However, there’s a minor flaw in the description of the current structure of the Finnish education system. There is no standardized test at age 16; the national matriculation exam is the final test of the upper secondary school (called lukio, somewhat equivalent to the American high school, even though more advanced topics such as differential calculus are taught). Also, the test can be taken in three parts and students are free to choice which tests they will take, and will they take them in the spring or in the autumn. Those who choose the vocational education never take any standardized tests, and the choice between upper secondary school and vocational school is not entirely, or not even largely nowadays, determined by academic success: many successful students also opt for vocational education. An amazing summary and thank you DgBorn for clearing that up. Actually, I also heard that the NME is also taken at 16. The overall picture I get is that things are much more customized in Finland- principals and administrators work with teachers to make them better at what they do best and teachers customize the student experience for each student helping them to achieve more in their strengths. I wonder if things are also different from an employer perspective. I feel like employers are one of the key driving factors to get all of our students in the US to college and some employers won’t value a vocational or trade school like they will a top University. I wonder if the culture is different in Finland.